ჰონგ-კონგი (ჩინ. 香港), ოფიციალურო ჩინეთიშ ოკათე რესპუბლიკაშ ჰონგ-კონგიშ სპეციალური ადმინისტრაციული რეგიონი — ჩინეთიშ ავტონომიური ართული, ჩინეთიშ ავტონომიური რეგიონი, გოართოიანაფილი ომაფეშ ჯვეში კოლონია, ოორუე ჩინეთიშ ზუღაშ პიჯის. 1841 წანას ტერიტორიაშ ოკუპაცია ღოლუ გოართოიანაფილი ომაფექ, 1941-1945 წანეფს ოკუპირებული აფუდუ იაპონიას. ჰონგ-კონგი ჩინეთიშ დო მოსოფელიშ ართ-ართი უდიდაში ფინანსური დო ეკონომიკური ცენტრი რე. ჰონგ-კონგი ამდღარ ჩინეთის ფართო ავტონომიათ რგეფაფულენს. ვალუტა რე ჰონგ-კონგიშ დოლარი. ჰონგ-კონგიშ საფონდო ბირჟას უკებუ მაშკვითა აბანი მოსოფელს. ჰონგ-კონგიშ პოპულაცია იკათუანს 7 მილიონ მახორუს. მახორუეფიშ 95% ჩინარეფი რენა. Endacott, G. B (1964). An Eastern Entrepot;: A Collection of Documents Illustrating the History of Hong Kong. Her Majesty's Stationary Office. p. 293. ASIN B0007J07G6. Hanstedt, Paul (2012). Hong Konged: One Modern American Family's (Mis)adventures in the Gateway to China. Avon, MA: Adams Media. ISBN 978-1-4405-4073-8. Tsang, Steve (4 September 2007). A Modern History of Hong Kong. I. B. Tauris. ISBN 978-1-84511-419-0. 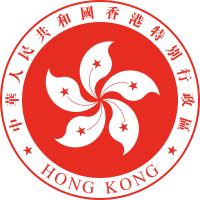 ↑ GovHK: Residents, Hong Kong Government. თე ხასჷლაქ ეკონიას გეახალუ 19:54-ს, 30 მარაშინათუთა 2018-ის.